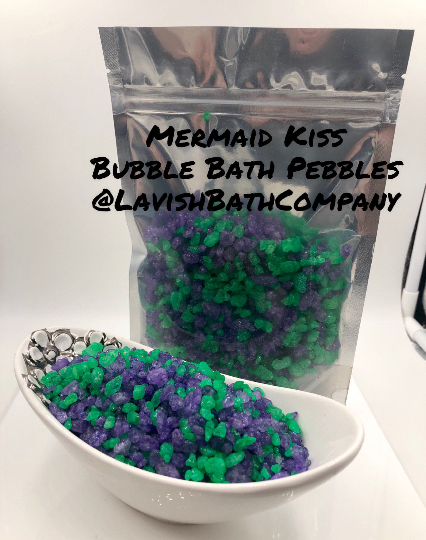 Pebble Size Dead Sea Mineral Salts are coated in my own bubble bath mixture to make a lavish bubble bath! Hey your soaking in the dead sea!! Ive also added the benefits of Chamomile Extract & Jojoba Oil !!! How To Use: Add 1 cup of pebbles to the bath tub then open your tap set to warm on high pressure then don't forget to agitate the water to create more fluffy frothy bubbles!